The logo design is inspired from the application idea itself, connecting people, resources and providing services. 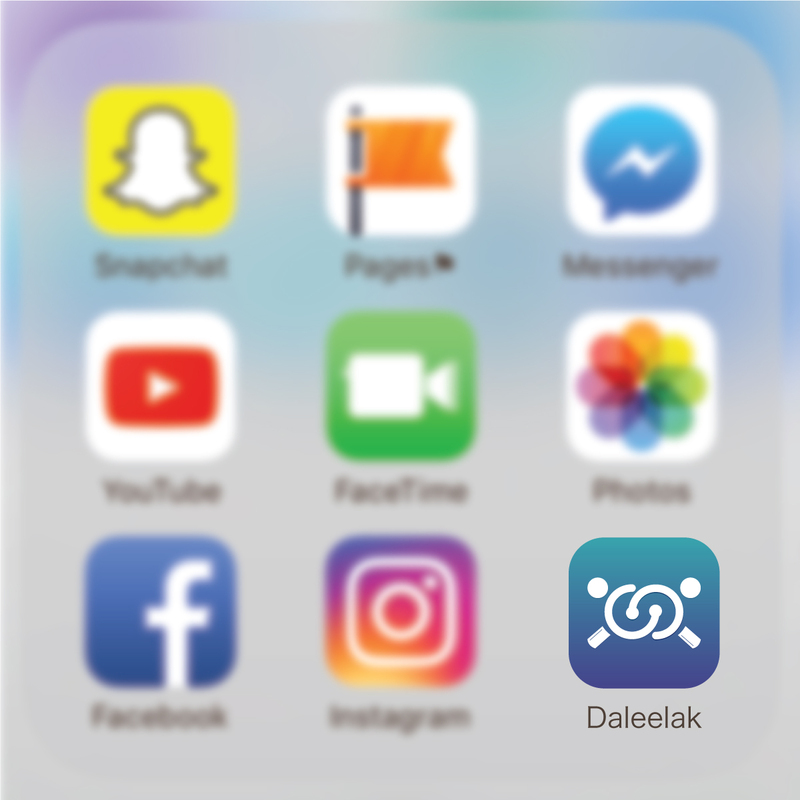 The icon can be seen as two people reaching each other and at the same time it can be seen as a magnifier that helps you find what you are looking for. Color purple has a calming effect on mind to serve the message that "Daleelak" will help you to find what you are looking for without worrying. Where color blue represents confidence that this is the right place to search for the help you need.